Well if ever 2 games showed just how far off we are from the top teams in the Premier League, these were the two! The injuries over the week and season have been horrendous and really showed a lack of depth to the squad. Contrast that with the woeful display we just saw against Liverpool, in which we looked bright for about 10 minutes and then decided that this would be a nice time for the season to end. We struggled to perform even the simplest parts of the game, keeping the ball, passing to the man and simple defensive positioning. Today was one of the worst performances of the season for me, in a year that has seen numerous ones to choose from! And I think the worst thing for me was seeing just how little effort we put in after that Spurs performance. I think that losing the likes of Kouyate and Noble (who I have been a harsh critic of!) showed just how much we lacked any physical presence, passion and drive in the midfield. Seeing that total lack of drive and passion has got to be one of the worst things for a football fan, I don’t mind losing by a few goals to a team like Liverpool if we show commitment and hard work, because then we can simply hold up our hands and say “We tried, but the better team won and we were simply outclassed today!”. But when we looked like we are getting ready to put the Rubber rings, flip flops and shades on for a nice lounge by the pool then it pretty much ruins my weekend and leaves me with a really bitter taste! From the positivity of last weeks win, I think the Burnley game looks like a real challenge, particularly given Burnley’s form at Turf Moor. Are there any positives to be taken from the game? I think I would be reaching if I said yes for anything on the pitch…can we count it as a positive that it will only be one more game till we get the sizeable wages of Tore and Arbeloa off the bill? But with football in mind, it was excellent to see Ogbonna named on the bench! However I wouldn’t even risk him for next week against a tough tackling and physical side like Burnley. I hope that after surgery we just let him get recover over the Summer and get him ready for a good pre-season, because given this seasons luck, and The West Ham Way, he’d injure himself in a different and undoubtedly worse way! The exciting news of the week, and after another great Radio show, Ex confirmed that we would be interested in Iheanacho. A player who I mentioned in a previous piece as a dream loan signing, but from my understanding a bigger name is in City’s sites and this is a great example of how quickly things change in football! 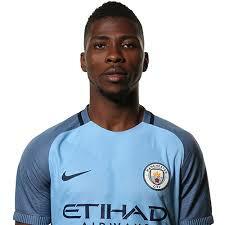 If the 20 million asking price for Iheanacho (Who I shall now refer to as Kelechi, because I find myself constantly confused by the surnames spelling!) is correct, then I would hope the owners go all out to sign him. I would much rather us spend big money and large wages on than an ageing Defoe. Now although I still think Defoe would be a great signing, the gossip that he and his agent are looking for a 6 million signing on fee would really put me off! Yes Defoe is a proven goal scorer, but Kelechi is being compared to Rashford who is being touted as having a 40 million price tag. Kelechi player with a similar record is being said to have a price tag at half that, my only worry being that I am sure he would attract a lot of interest from bigger clubs around Europe, so I think we would really be pulling something special out the bag if we could sign him. A player who seems to be popping up on my Twitter feed and being linked to us is Success of Watford, Kelechi’s international stike partner for some time now in the Nigeria set up. He has found it hard to adjust to the Premier League, without scoring a single league goal. Normally that wouldn’t be much of a concern for me, however a 12.5 million price being bandied about and a record of 1 in 5 throughout his career, I do not think he is someone good enough for us if we want to push on. I recently saw a poll asking if I would take Kelechi or Batschuyai, the ideal would be both. And to be honest, I don’t see why we cannot have both! I know the 80 million transfer fund being talked of is probably a bit ambitious, However we have a few players across the squad who I feel are easily replaceable at the moment and could fund this. One in particular is Carroll, I still maintain that on his day, he is unplayable, but I think that these days are way too far and few between! And I have never bought into this idea that he is the only player on the planet who can have the impact he does, he is a great hold up man, he is athletic and strong in his defensive duties, but players like Llorente,Wout Weghorst from AZ Alkmaar and Kalifa Coulibaly from the endless production line of the Belgium League (who I am a big fan of!) offer very similar styles and attributes. So I would happily fund the purchase of two young and hungry strikers by selling Carroll. A real addition to the side in my view would be the signing of Zabaleta, despite my views on Defoe! I think Zabaleta is not only a Defender of great quality and all the attributes of a real leader, but he is someone that would not only lift the entire squad, but who I think Lanzini would really want to play with and learn from. Lanzini is a player of immense quality and with his end goal surely looking to be a place in the Argentine squad, I don’t think there is a better player on the market we could realistically sign to motivate him and possibly get the very best overall performer out of Lanzini. I would love to hear other fans ideas on who they would sell or sign in the summer. For me Snodgrass and Fonte have both been signed too recently to attract real interest, particularly given the low quality performances from them both. But I would sell Fonte in a flash, Snodgrass I think has far more to show, but we should look to sell for a decent sum. But who do you think we could realistically sell and replace easily in the Summer?